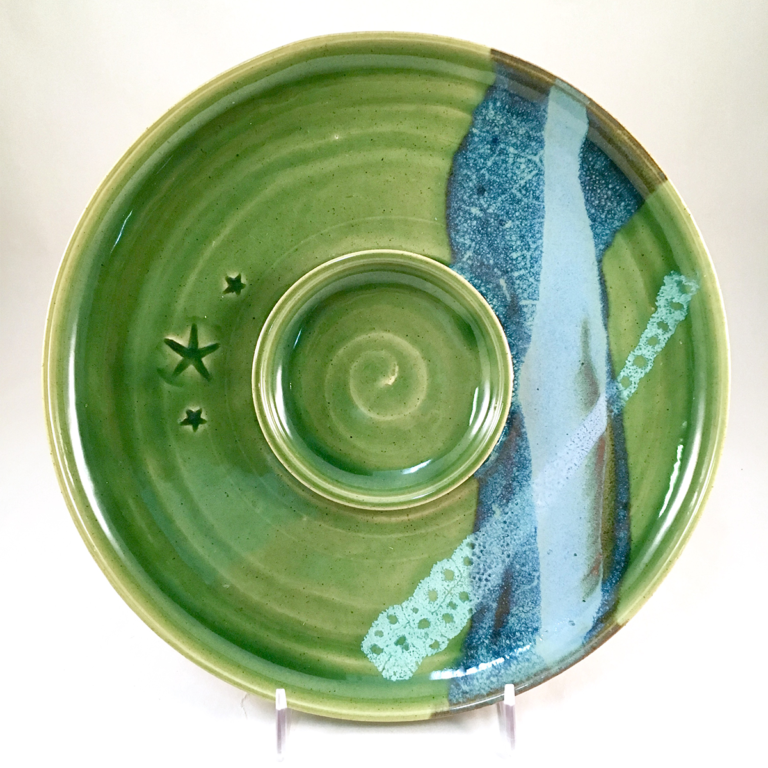 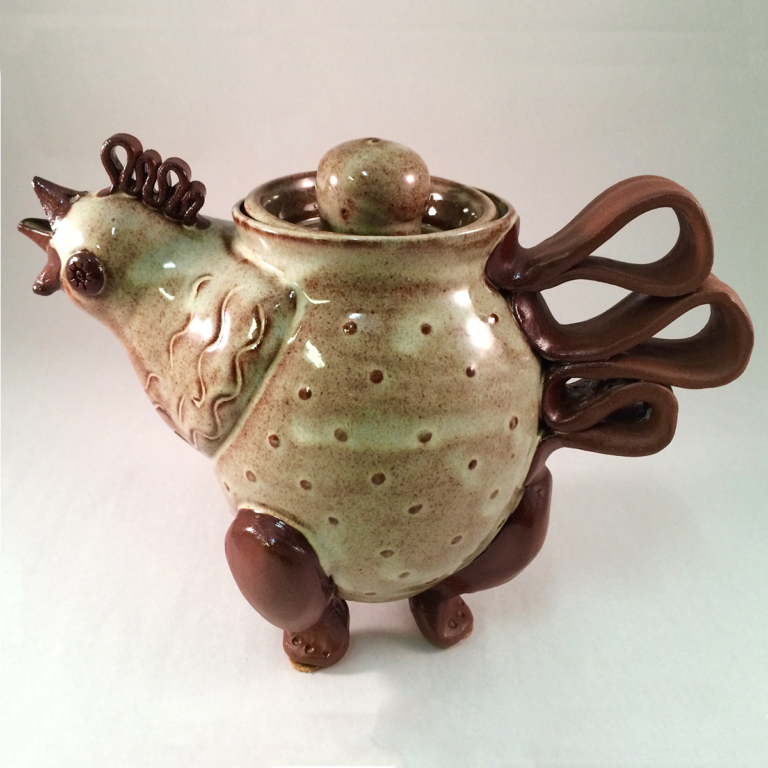 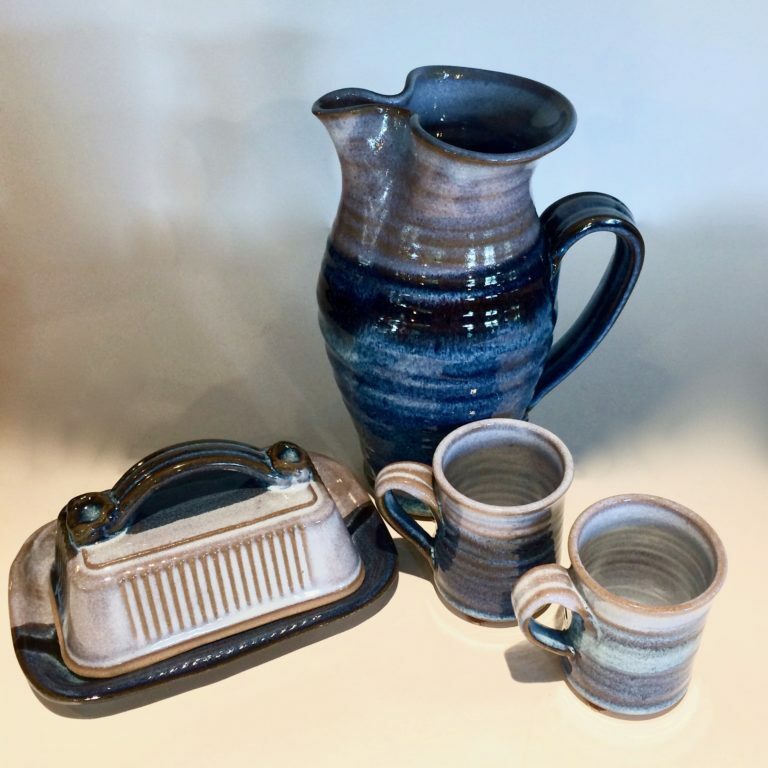 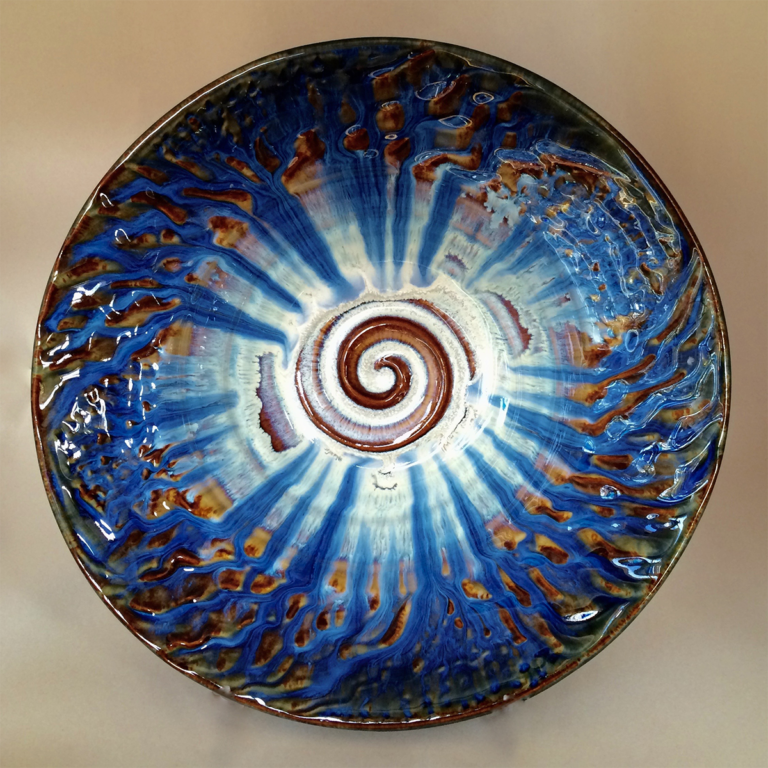 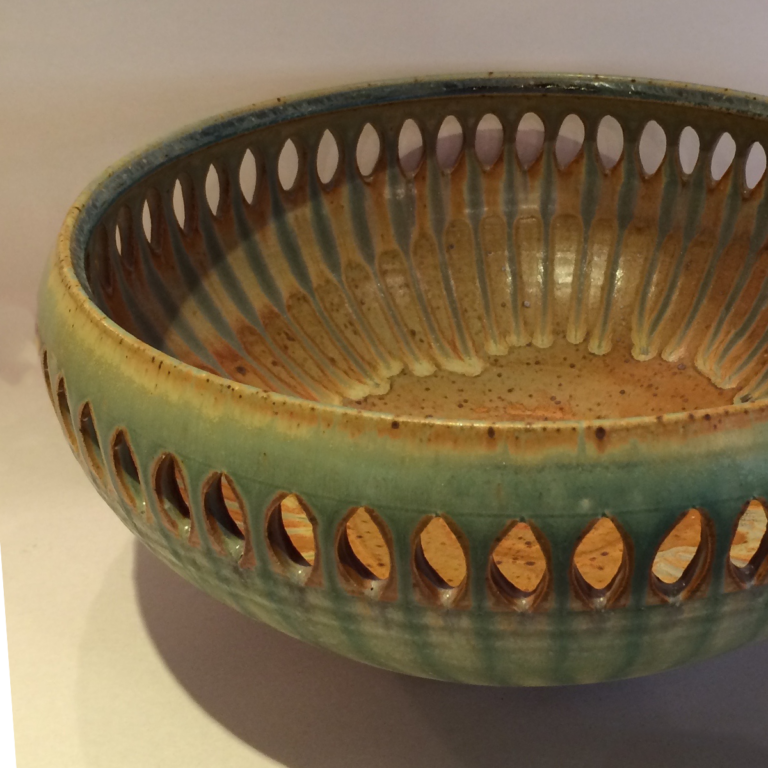 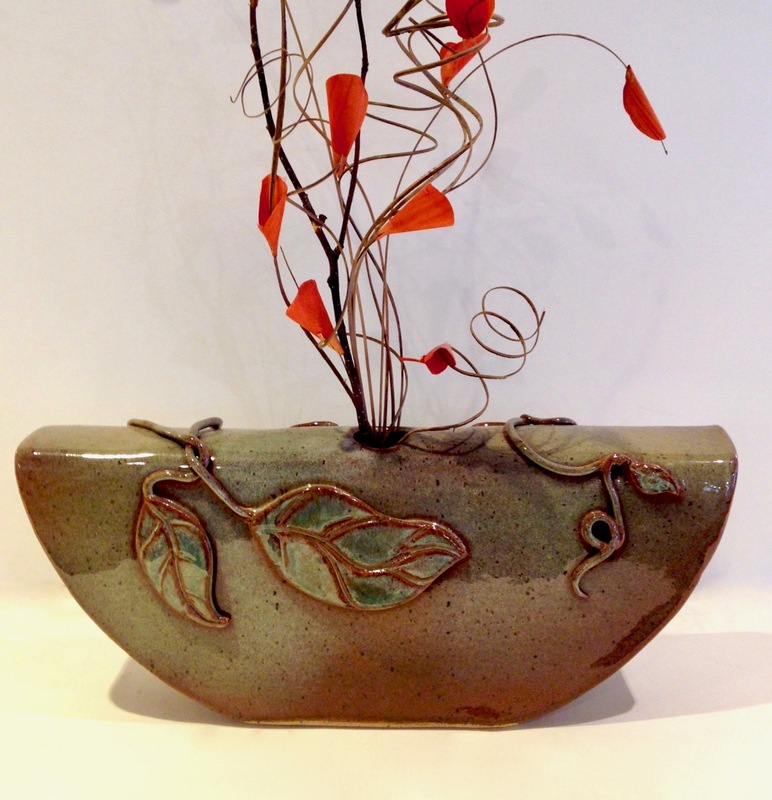 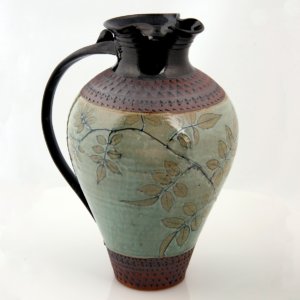 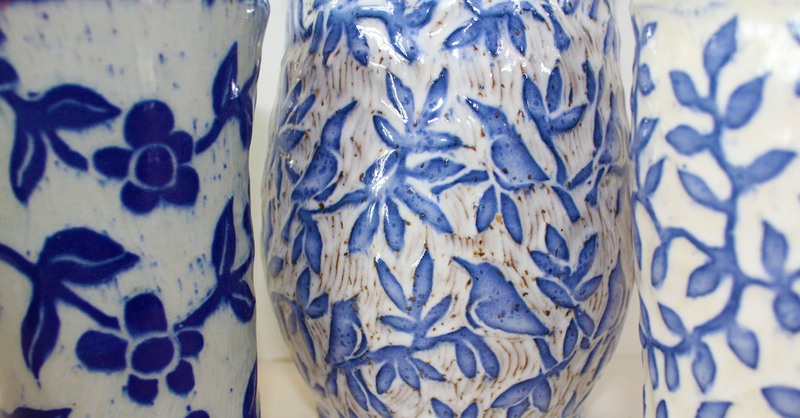 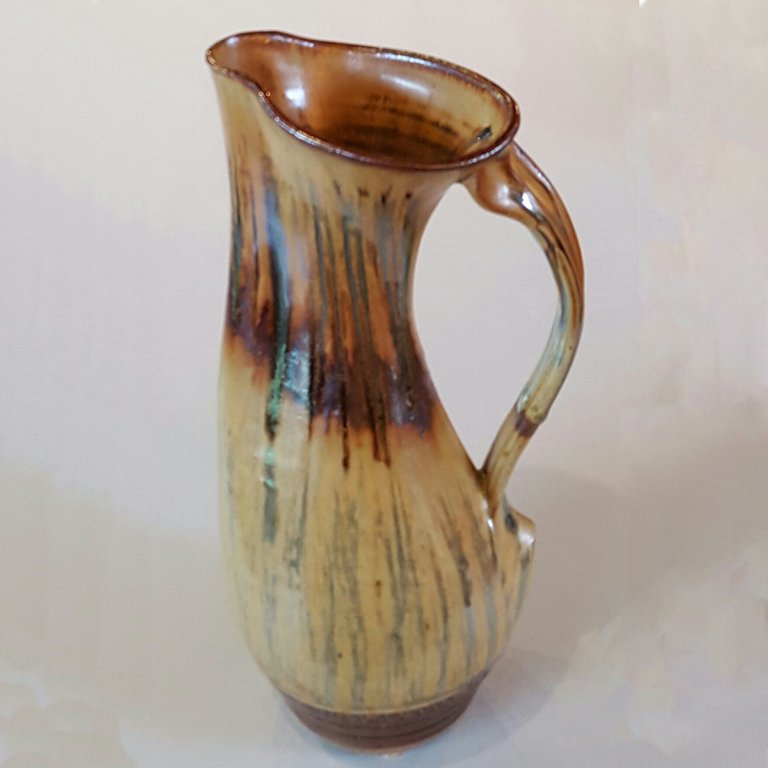 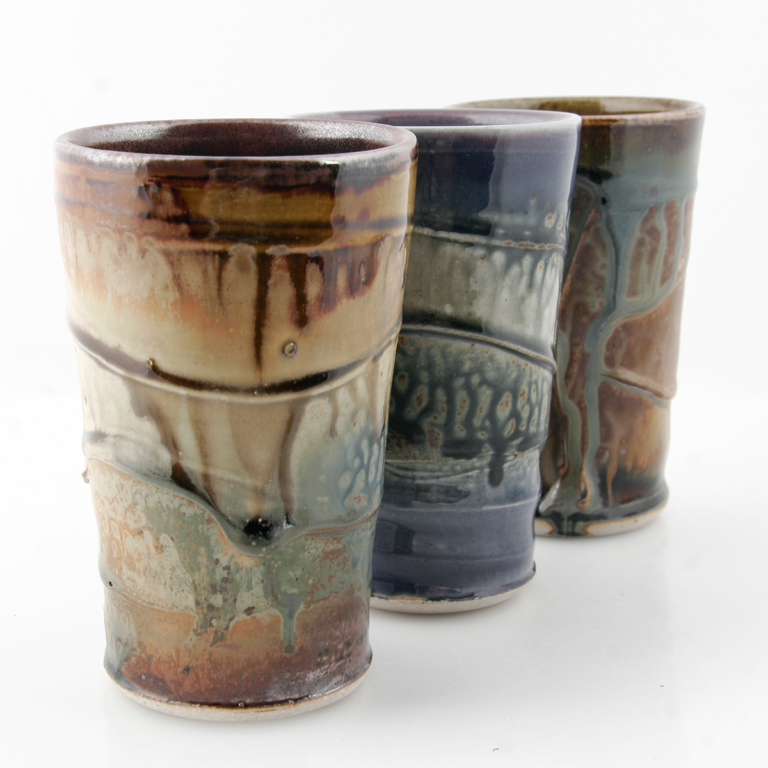 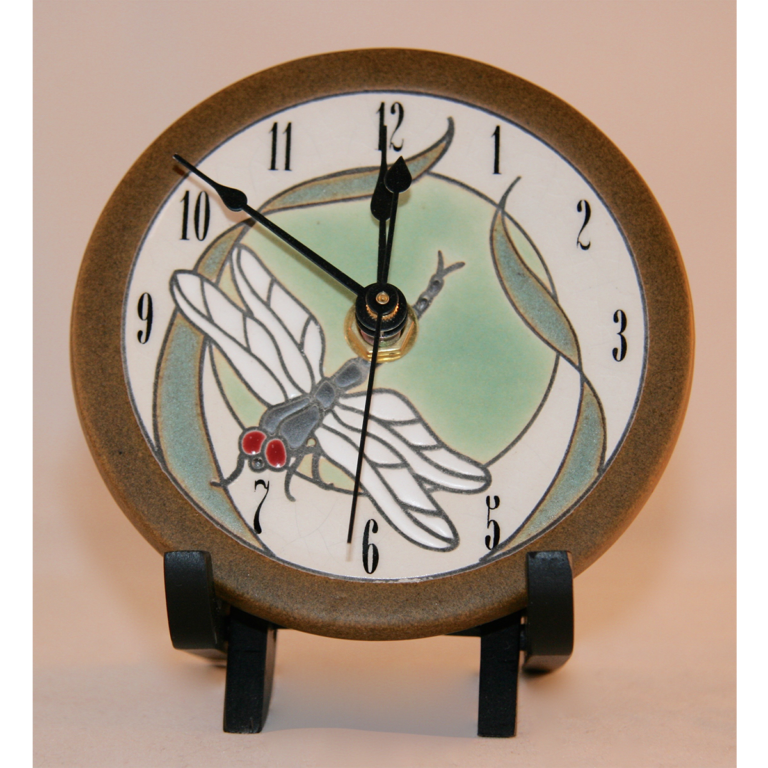 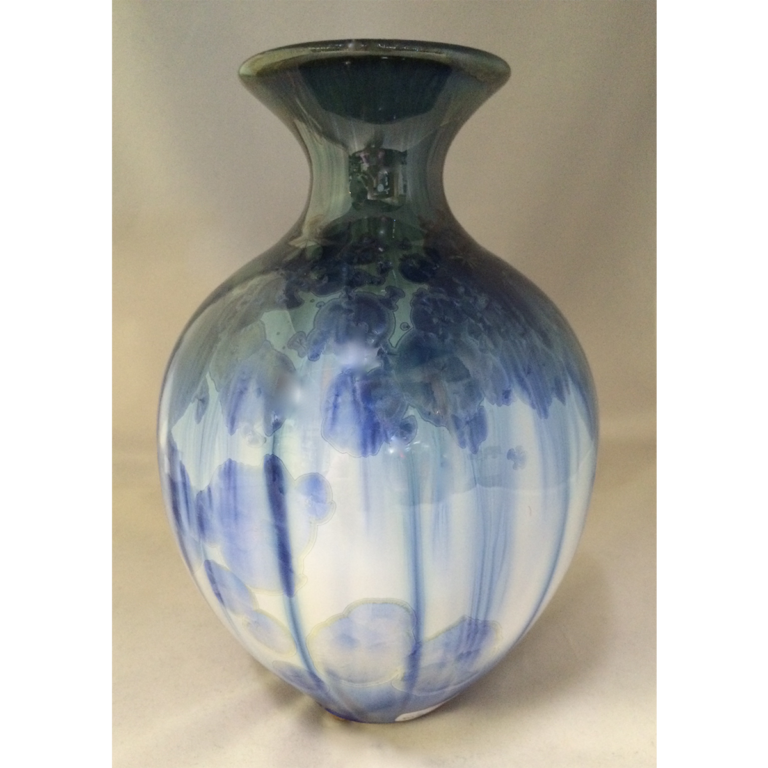 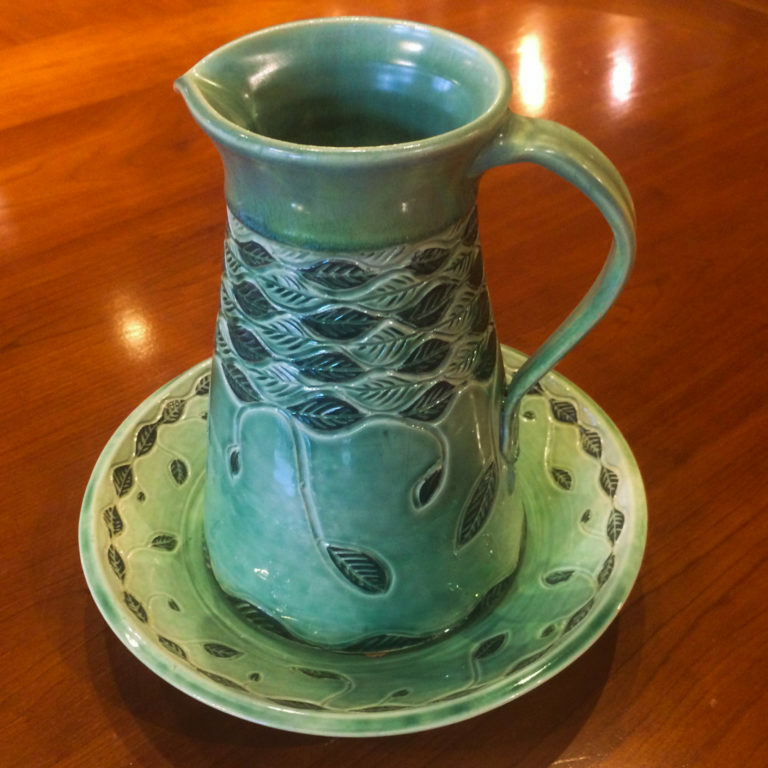 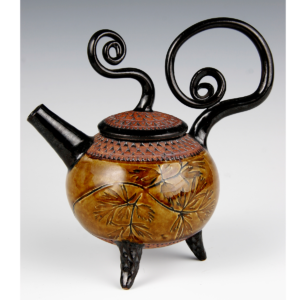 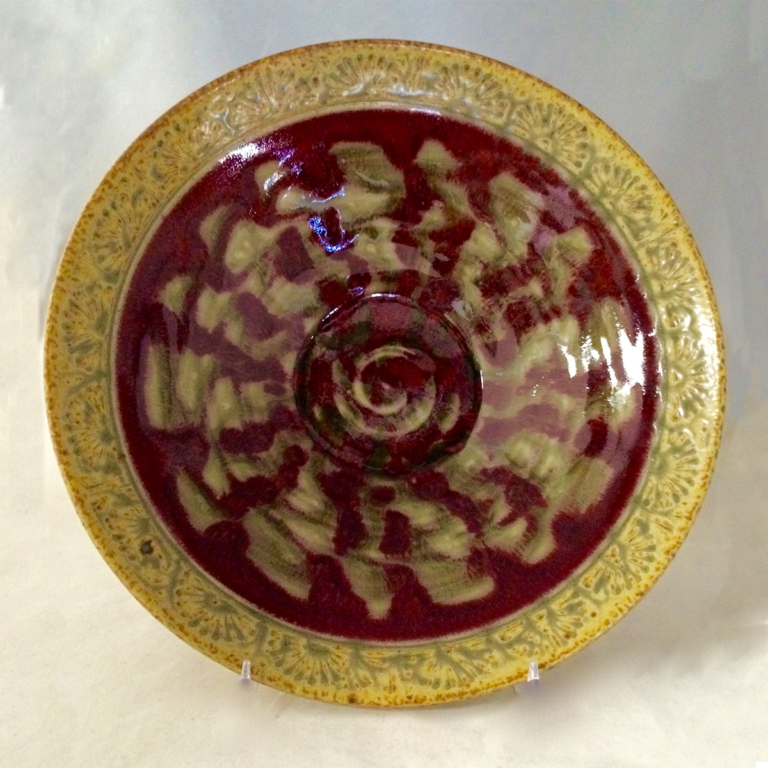 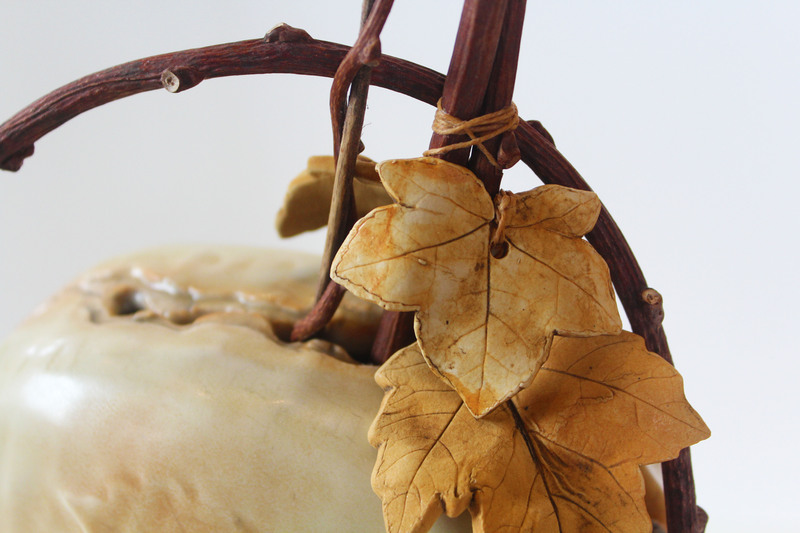 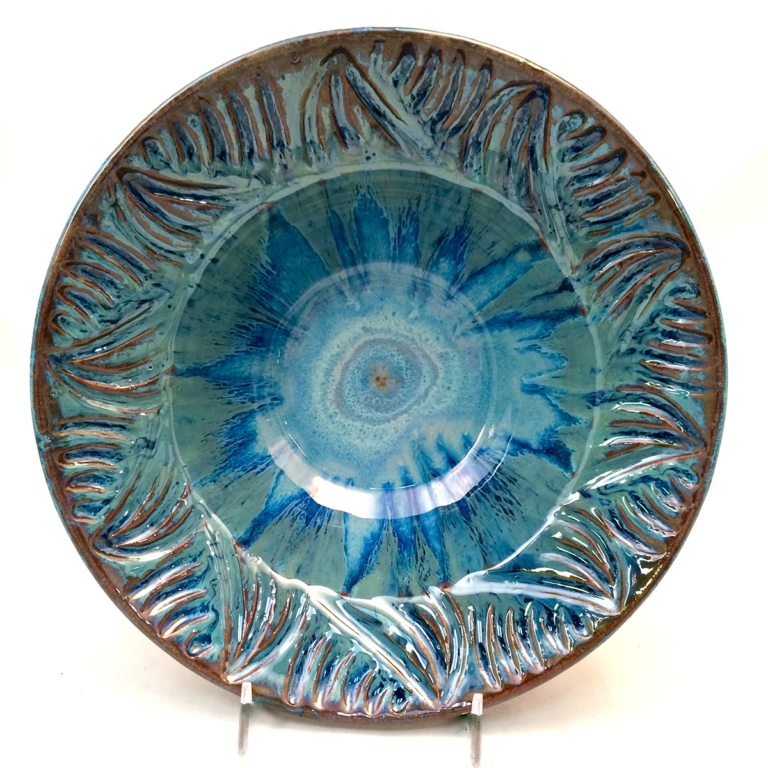 All of Suzanne Crane’s pieces are wheel-thrown, using a buff-colored stoneware clay body. 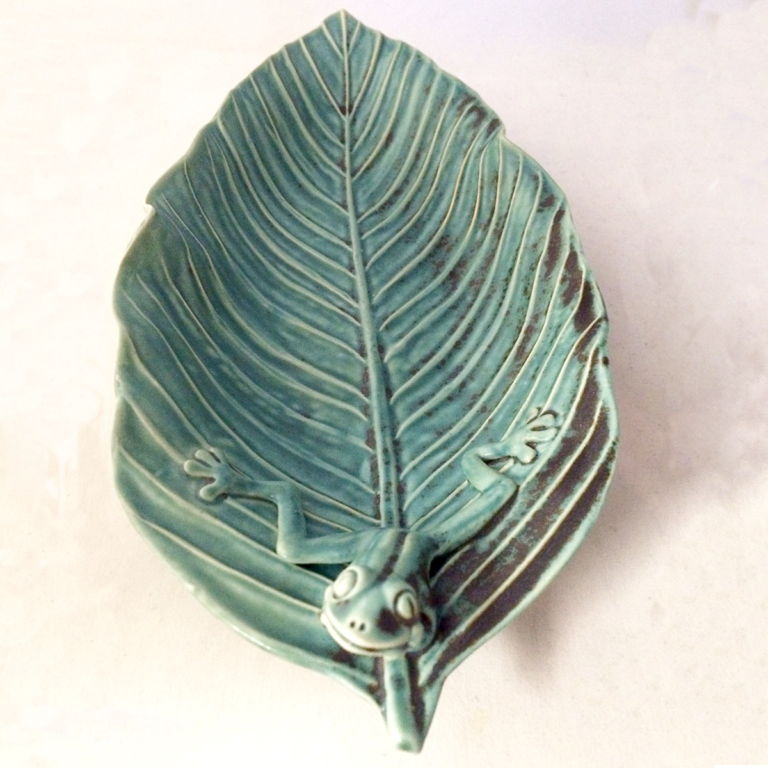 She presses plant specimens found in the mountains and woods of Central Virginia into the wet clay, then pulls the specimen off, leaving an accurate fossil impression that gives her a template for glazing. 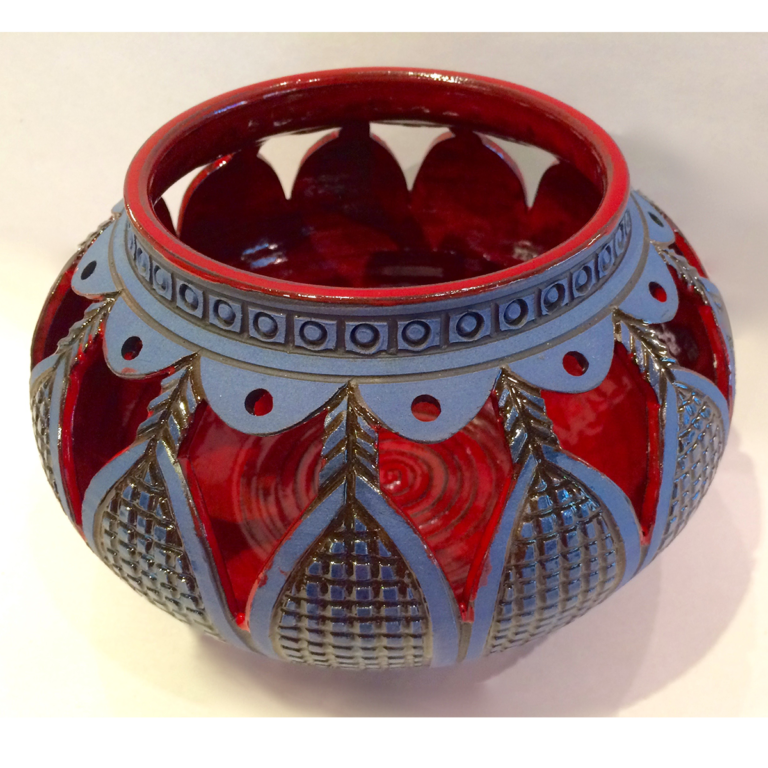 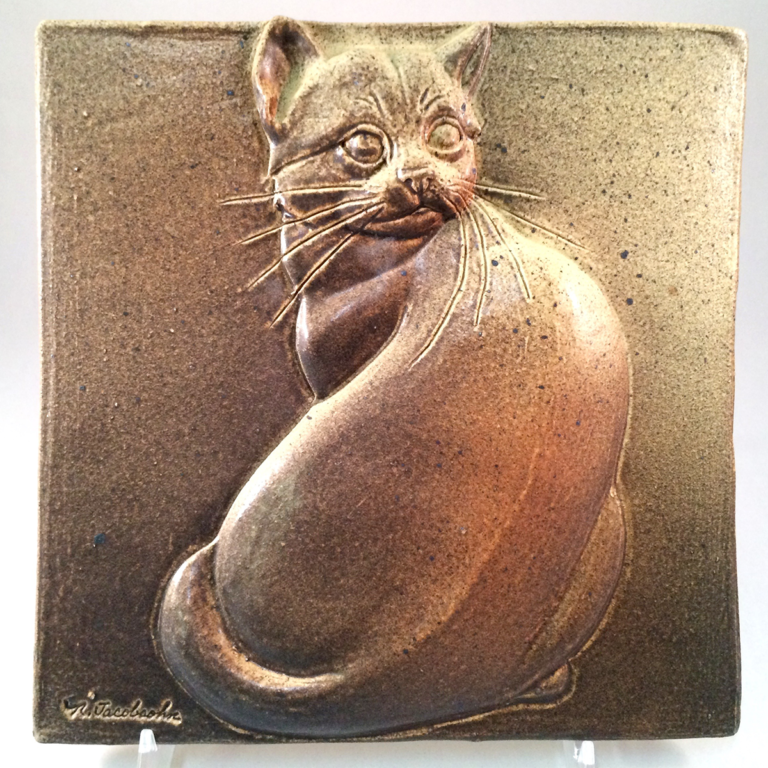 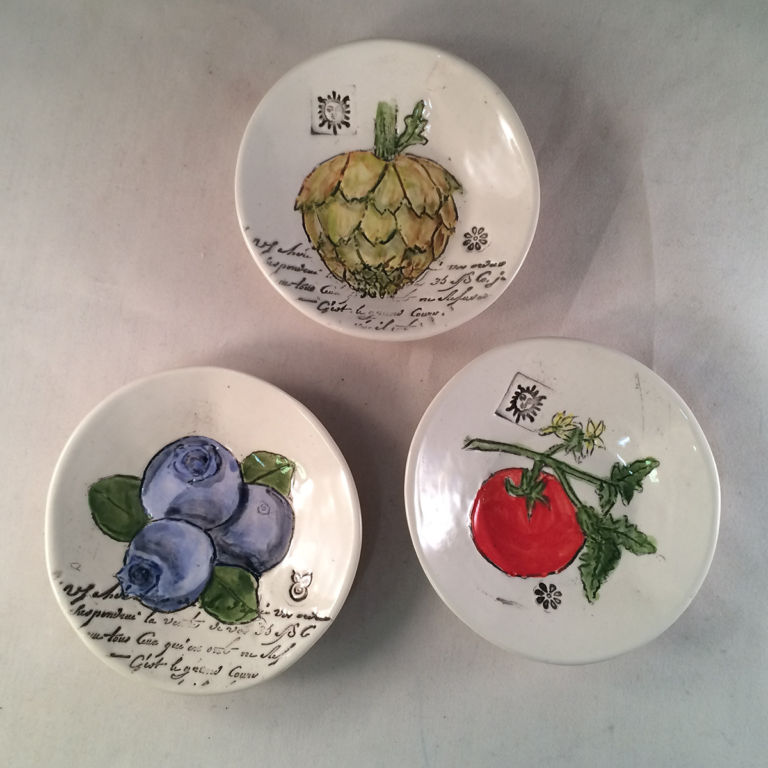 Suzanne then uses a church key to texture the rims and bases of her pieces, pressing one point at a time. 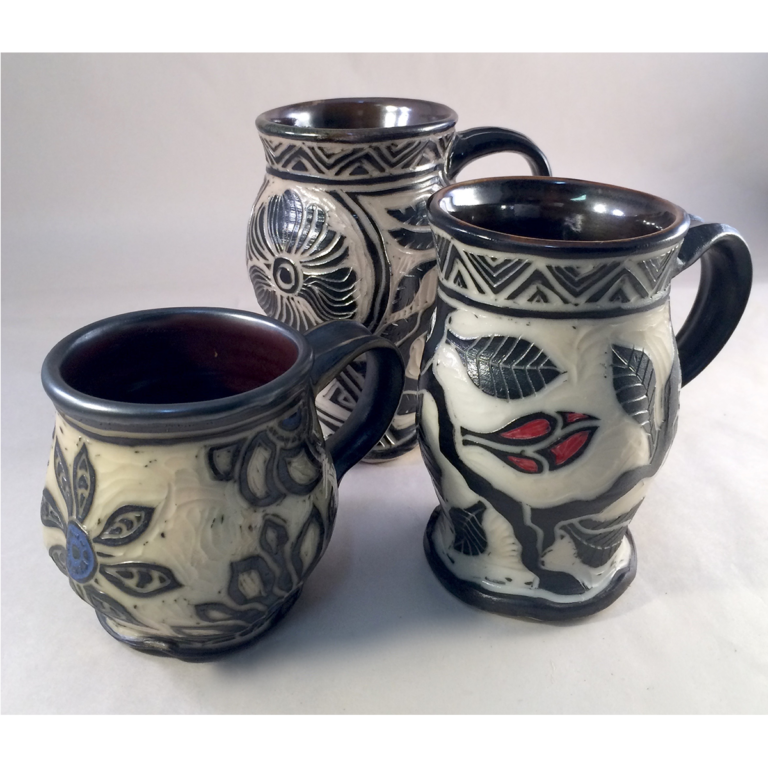 Knobs, handles, and feet are hand pulled from stoneware. 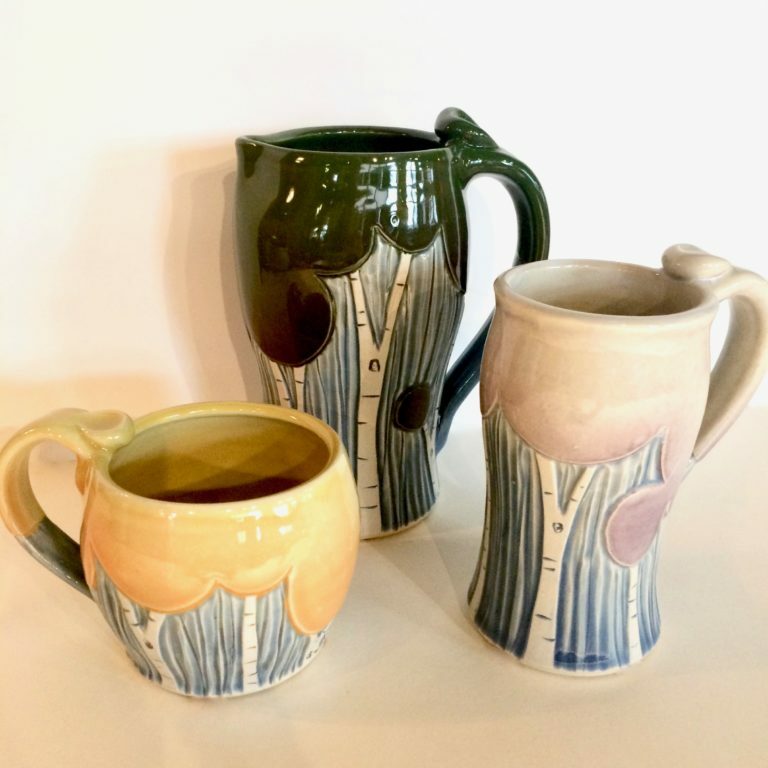 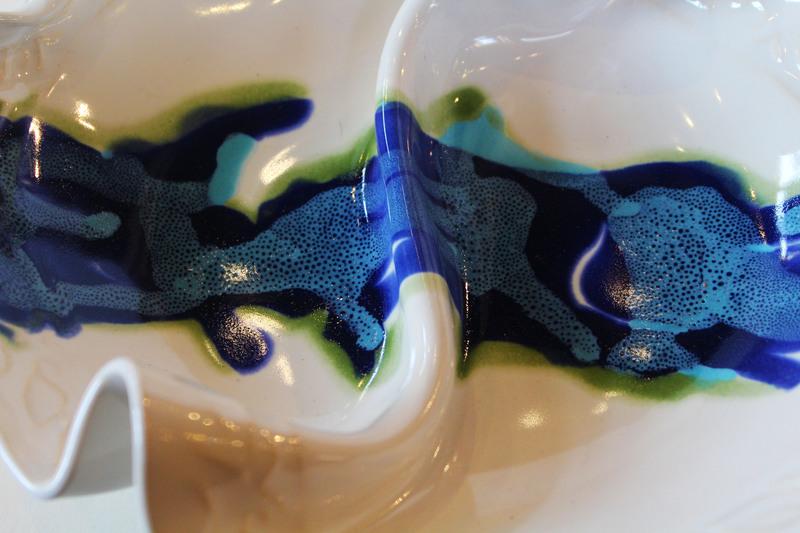 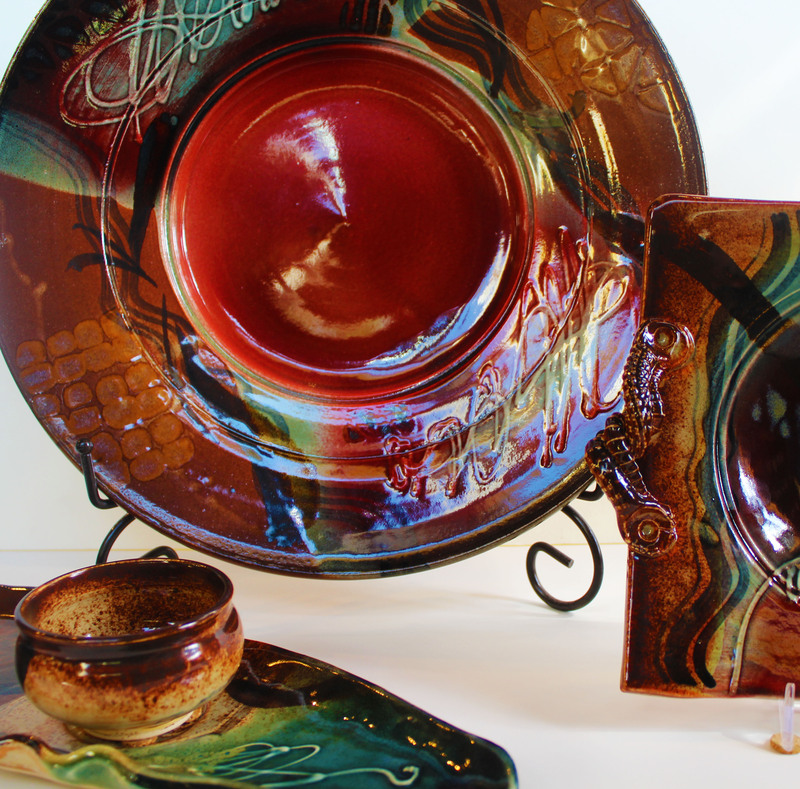 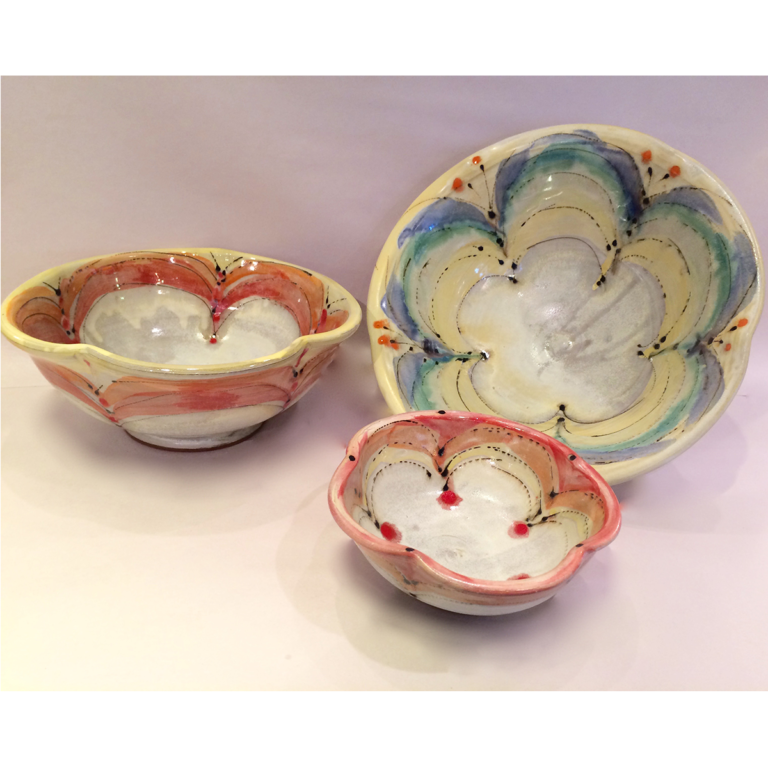 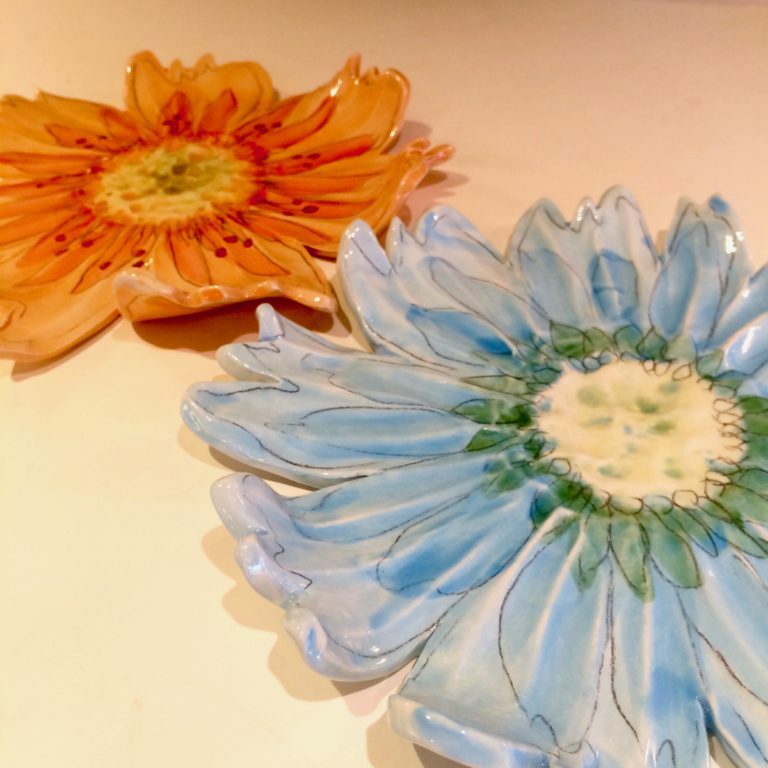 She uses her own glaze recipes to finish each piece.